The 3 December each year is the United Nations International Day of People with Disability (IDPwD). This IDPwD, Disabled People’s Organisations Australia (DPO Australia) celebrates the achievements and contributions of people with disability, reflects on our gains in creating equity and inclusion, and continues to act to make our human rights a reality. IDPwD 2016 coincides with the ten year anniversary of the adoption of the Convention of the Rights of Persons with Disabilities (CRPD), and along with the recent UN adoption of the 17 Sustainable Development Goals (SDGs), it underpins this year’s IDPwD theme – “Achieving 17 goals for the Future We Want”. “There remains much more to be done to address ongoing human rights violations that expose the reality of our lives. Almost half of people with disability continue to live in poverty and are half as likely to be employed as people without disability. People with disability still live in segregated, institutional environments, continue to experience high levels of violence and abuse, can be indefinitely detained in prisons without conviction, face discrimination in immigration policy, and still face significant barriers to inclusive education, our communities and services”, continued Ms Sands. 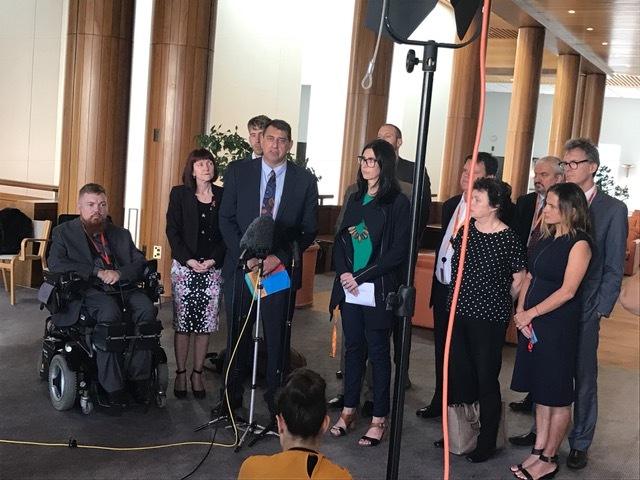 “DPO Australia will continue to take concerted and comprehensive action, and work with Australian governments to address these human rights violations”. DPO Australia has set out its priorities for action in its Activity Work Plan 2016-2017. A call to action and 13 policy priorities for commitment by political parties are set out in the 2016 Election Platform.